You want to make better decisions. You want to be right more of the time professionally and personally. However, being more right consistently is a hard problem because the world is such a complex, evolving place. How do you navigate this complexity? Mental models are decision-making tools that guide our perception of the world and our behaviour in it. They help us understand life, make decisions and solve problems. The best models help us make intelligent investments, develop ground-breaking technologies and even travel to outer space. - Note your frame of reference before debating someone with different political views. If you understand how your perspective contrasts with someone else's you can prevent the conversation from getting hostile. - Apply the sunk cost fallacy to the end of a doomed project. Just because you've put a lot of hours into it doesn't mean that you have to keep going. - Before blaming someone, consider Hanlon's Razor, 'Never attribute to malice that which is adequately explained by carelessness'. - Try to solve mysteries with Occam's Razor, 'Among competing hypotheses, the one with the fewest assumptions should be selected'. When you hear hoof beats, think of horses not zebras. 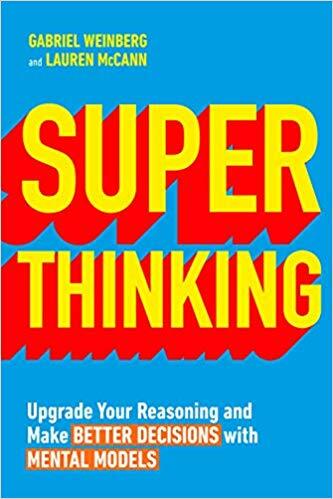 Building on our knowledge of well-known models such as the Bandwagon Effect or Paradigm Shift and introducing us to the lesser known like the Eisenhower Matrix or the Boiling Frog Symbol, this indispensable book distils the most effective mental models into a single, digestible volume. It will make even the most complex models accessible and engaging to enable you to make better, more informed decisions in every part of your life.